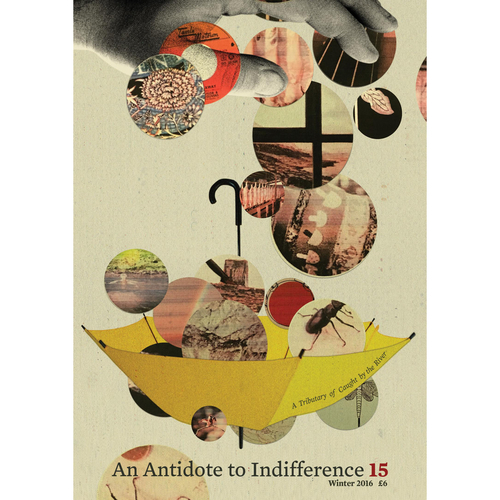 Designed by Louise Mason, An Antidote to Indifference 15 is bursting at the seams with a dazzling array of poetry, prose and photography. We've included some of our favourite site posts from the year, as well as content written exclusively for the issue. Contributions from CBTR regulars (Tim Dee, Anna Wood, Luke Turner & Emma Warren, to name but four) sit alongside those of relative and welcome newbies like Sophie McKeand and Keshia Glover. Delight in tales of nasturtium-stem pesto, expired Polaroid film, fishermen lost at sea, chanced-upon deer skulls and much, much more.